Security forces on Saturday arrested 48 foreigners in Istanbul and capital Ankara over their suspected links to the Daesh terrorist organization. Istanbul Police Department’s Anti-Terrorism Branch launched an operation to nab the suspects who were allegedly planning to carry out terror attacks. 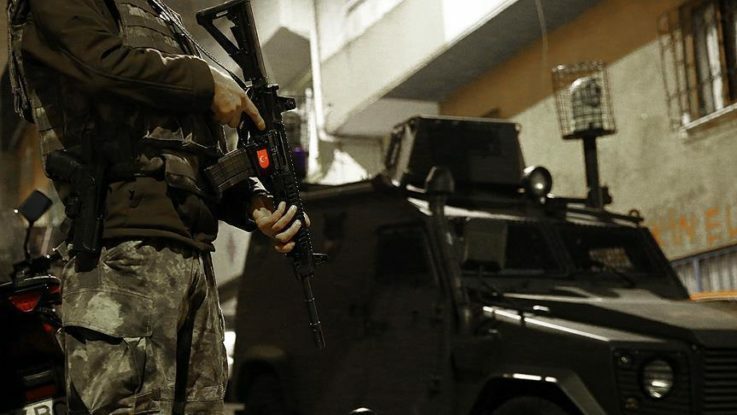 Thirty-one suspects were arrested in three districts of Istanbul, while separately in Ankara, 17 Daesh terrorists were also detained during simultaneous operations, a security source, who asked not to be named due to restrictions on talking to the media, said. More than 300 people have lost their lives in Daesh-claimed attacks in Turkey, where the terror organization has targeted civilians in suicide bomb, rocket and gun attacks.